Do not underestimate your upcoming domestic or business removal to Richmond because even the smallest and simplest relocations can quickly become stressful, laborious and time consuming jobs. The best way to avoid this unpleasant scenario is to contact us from Sky Removals and seek our assistance. We are experienced and properly equipped man with van specialists and we maintain a large selection of top notch moving services which we provide at affordable prices that can easily fit into any budget. 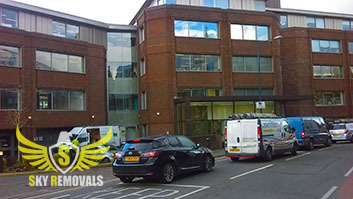 We are currently reputed to be the most dependable and competent movers in the area due to the fact that we always manage to meet the demands of our clients and handle their removal to Richmond, TW, in full accordance with the highest international standards of the industry. So if you are facing a commercial relocation in Richmond, KT, in the near future know that we are the perfect relocation company for you. After all it is not a fluke that we are the favorite movers of the local business owners. 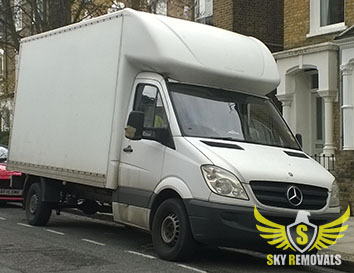 We from Sky Removals also have the resources to perfectly handle household removals in Richmond. The type of your house or flat doesn’t concern us because we have the expertise to see through residential relocation with flying colours. Throughout the years we have worked on numerous domestic moves and the only thing that they have in common is that we have completed them in a manner that equals the requirements of our customers. Note that we have full CMR insurance which means that you will get reimbursed in the case of an ancient. However, to date we have never activated our insurance policy as we always double check everything in order to avoid all types of unwanted events. 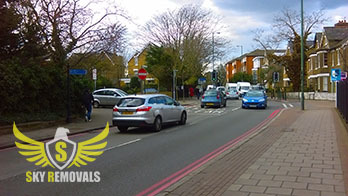 All the removals in Richmond, TW, for which we are contacted are executed with the aid of our fleet of new, clean and fully equipped moving vans, so be certain that your belongings will be safely transported to your new residence. Don’t be timid to contact us if you are a tenant who is moving from a rental unit and must conduct an end of tenancy cleaning routine as we provide top quality Richmond sanitation services. We have a team of seasoned cleaning technicians to whom we have provided the best and most efficient sanitation machines. With the help of our tools we can easily reach even the most inaccessible areas of the property and clean it meticulously. We can also efficient and quickly sanitise the most tarnished household features. Last but not least, we promise you that we will remove all the resilient stains and ensure the full retrieval of your security deposit. We are able to clear all type of spillages, spots and stains by using eco-friendly cleaning detergents which don’t contain any toxic or chemical ingredients. We work with green products because our mainly goal as sanitation contractors is to provide to our clients a clean and healthy indoor environments. Benefits Why it is a gain? We are seated in the London Borough of Richmond upon Thames. The area has an estimate population of 193.000 people and lies in the southwestern parts of the city. The borough is home to several noted landmarks including the world famous Kew Gardens which are recognised by UNESCO as a World Heritage Site and are credited to be the botanical venue with one of the largest collections of living plants in the world. Twickenham Stadium is another well-known place of interest. It is the second largest sporting venue in the United Kingdom and unlike most stadiums in the county isn’t dedicated to football but to rugby union. It was opened in 1909 and has been modernised several times throughout the years. Today it has a capacity of 82.500 which makes it the fourth largest stadium on the European continent. In 2015, Twickenham Stadium hosted the final of the Rugby World Cup which was won by New Zealand. Richmond Park is perhaps the most renowned landmark of the borough as it is one of London’s top green areas. It covers an area of 955 hectares and is declared a Site of Special Scientific Interest and Special Area of Conversation. The White Lodge is undoubtedly the most noted building within the park. It dates back to the first half of the 18th century and was designed by Roger Morris. In 1981, the White Lodge was classified as a Grade I edifice. It currently houses the Royal Ballet School which was established in 1931 and is known to be one of the finest in Europe.